The wedding music industry is one of the most lucrative businesses in the world, with hundreds of thousands of artists out there, all of whom are talented, and looking to make your day even more beautiful. Many couples choose to hire a DJ or a wedding band for their reception, but we at Zankyou still think that for the perfect finishing touch, a live musician is the best option available. However the question remains – where to even begin? Alongside genre and the specific tracks you have in mind, you have to think about what kind of ambience you want to create, and which kind of instrument would best achieve that. So we have compiled a list of our 5 favourite freelance musicians currently working in the UK, to give you some concrete options, and some ideas about what kind of music you want for your ceremony! 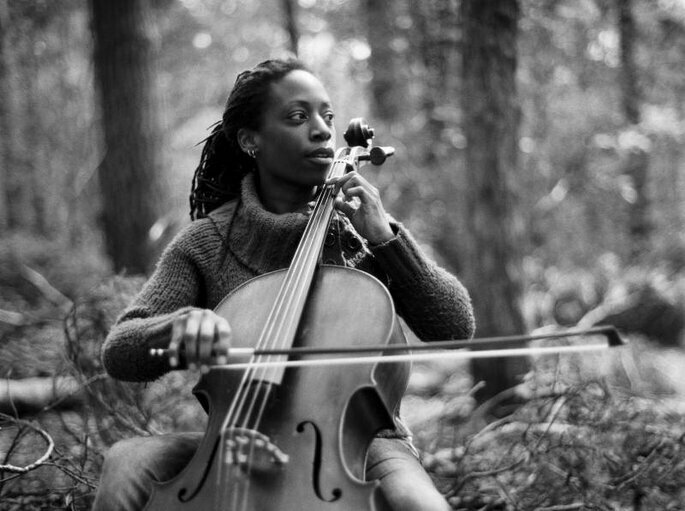 Jay Emme is a hugely talented cellist, who recognises the versatility and power of her instrument, and is able to harness it to create the most enrapturing and soulful melodies. Having previously worked as a wedding photographer – and so well aware of the importance of details, and with an understanding of how stressful it can be – Jay is not only very skilled, but also very reliable, and happy to accommodate your requests, and work around you. Whilst adept at classical pieces, Jay is also a dab-hand with performing and interpreting pop and chart songs, and can even stretch to a few Disney pieces! The cello is a grand instrument that can produce rich and vibrant notes, which will fill the space at your wedding, and complement the profound emotions of the day; with the diversity of Jay’s repertoire – she is also able to create special arrangements using professional software – she and her cello would be the fitting final touch to your wedding, regardless of the style or theme that you have. Check out an example of her artistry below! Armande Fryatt studied music at the University of Cambridge, and is a well-practiced harpist, playing at over 50 weddings and events annually. Though she has an extensive repertoire of songs available – from Debussy to Guns N Roses (and several Bollywood songs for anyone planning their wedding with this theme in mind) – Armande is happy to learn a new song especially for your big day, and is sure to delight and enchant your guests before, during, and after the ceremony. The harp itself is a gorgeous, verging-on-magical instrument, and the perfect accompaniment for a traditional or romantic-themed wedding. Due to the delicacy of the harp, if your wedding is outside, Armande requires a canopied area to perform in, but is otherwise completely flexible for your big day – and, where possible, will even match her dress to your colour scheme! 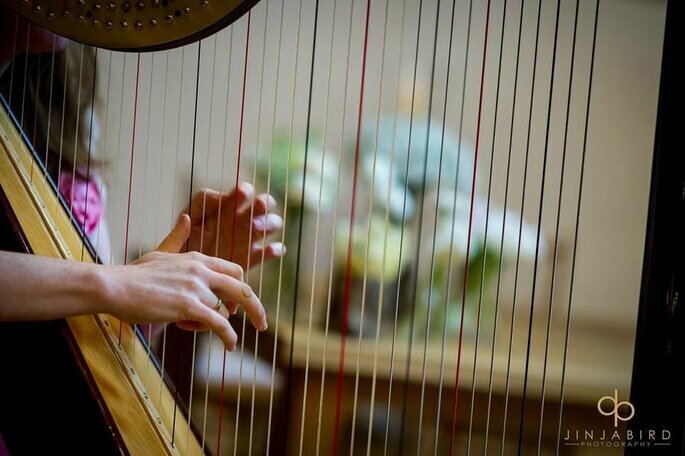 An unobtrusive presence, but one who will contribute a true sense of elegance to your wedding, Armande is amongst the most talented harpists available in the United Kingdom, and the perfect addition to your classic ceremony. Kate Chruscicka is an internationally-renowned violinist, who has studied the instrument for over two decades, both by herself and at university, and also under the guidance of some of the most talented musicians in the world. 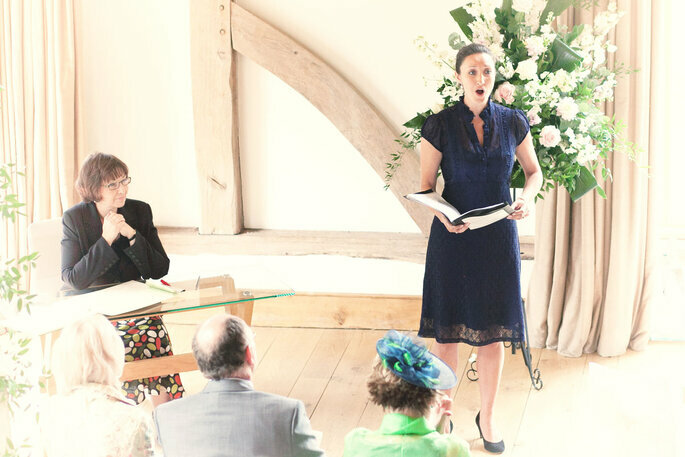 With a wealth of experience performing in a professional capacity, and with two independently-released albums under her belt, Kate is guaranteed to impress at your ceremony and reception. For a more traditional kind of wedding, Kate can do an acoustic performance; for a more contemporary wedding, she can use her electric violin and add a touch of modernity! Violin soloists can be a glorious addition to any wedding, and bring a real sense of romance and intimacy. Kate has a strong collection of songs she is happy to play, but of course is amenable to learning your special request to make your wedding just that little bit more personal. Her style has been described as “multi-dimensional” – from classical music to pop, there is something for everyone. As one of the most talented violinists out there, Kate comes highly recommended by everyone lucky enough to have heard her perform. Saira Luther is a classically trained Soprano, with some of the most spellbinding vocal ranges and operatic abilities we at Zankyou have ever heard. Opera will always give you goosebumps, but the sheer depth and emotion Saira reaches during her performances will undoubtedly have you reaching for the tissues, and she would be an incredible performer for your ceremony. Saira has a wide range of songs she can sing, from musical theatre classics to the more traditional tunes from Mozart and Schubert, and will work with couples to design a set list that complements their day and the theme they want to portray. In Australia, Saira worked with the Opera Australia, Pacific Opera, Victorian Opera and Sydney Symphony Orchestra, and whilst in London, became a member of its Philharmonic Orchestra. Her talent and experience are beyond doubt, but surely the most compelling feature is that Saira can offer a performance tailored to your wedding, which will radiate grace, sophistication and romance. 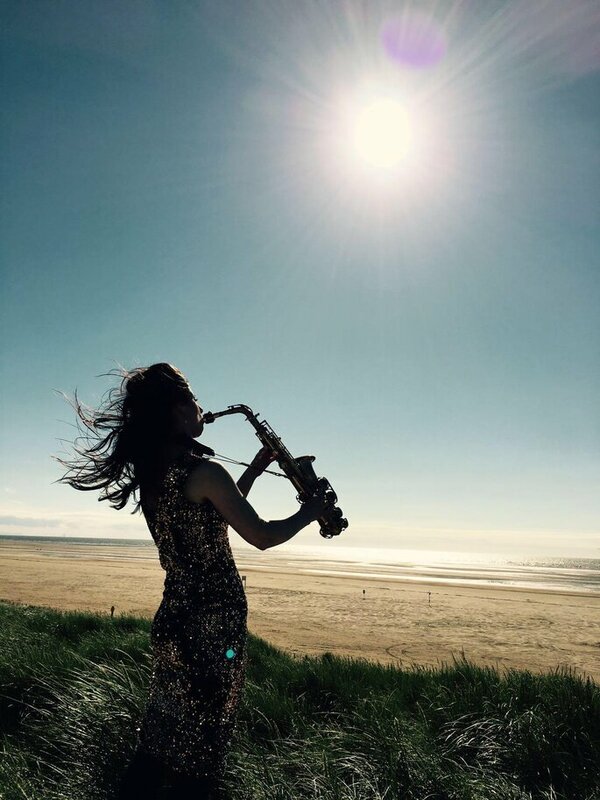 And for something a little different… Sophia Sax specialises in jazz, soul and funk music, and would be a breath of fresh air at your contemporary-themed wedding and reception. With a passion and energy for her music, and with an instrument that makes a bright impression wherever it is used, Sophia can liven up your wedding day. Like all of the wonderful musicians in this article, Sophia is happy to perform a requested song, and happier still to freestyle, and really wow your guests. She is available for hire not only at the ceremony and reception, but also during your wedding breakfast, and can bring a real ambience (whilst also knowing exactly how to regulate volume and impact). Classical instruments are befitting for classical weddings, but if you want a more modern affair – perhaps you’re having a bustling outdoor wedding, or aiming for a more celebratory tone – then an instrument like the saxophone is ideal. Sophia can perform by herself, but is also available with a piano or violin accompaniment, for an even more dramatic musical feature. Either way, her talent will ensure that you and your guests will be dancing all night long!